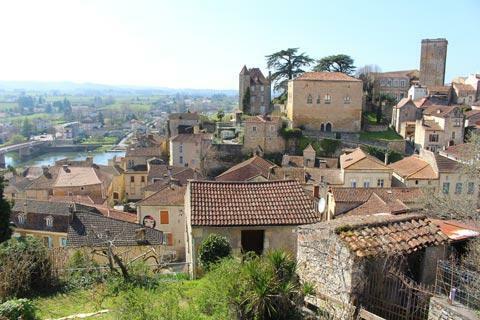 Puy l'Eveque is a pretty village in the Lot Valley to the east of Fumel and west of Cahors. 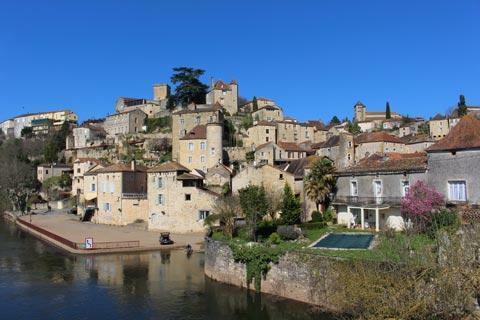 It is a quiet place (although Puy l'Eveque is much busier during the summer months) with a great deal to commend it to visitors. 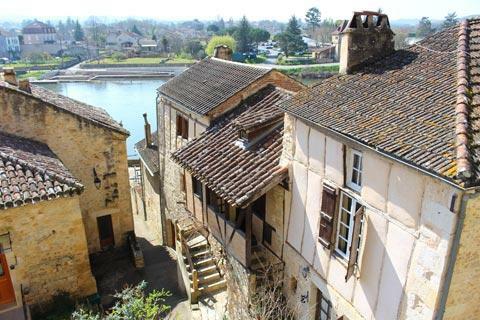 The town sits on a steep slope above the river, with narrow lanes winding betwen the ancient houses and lots of small courtyards, many of which have a particular feature that will catch your attention such a small fountain, a medieval house with a tower or a traditional raised balcony. Most visits will star at the tourist office in Grand Rue, and in the streets between here and the river. Grand Rue is rather less impressive than the historic centre in the streets to the west with several buildings in need of a bit of love and attention but don't be discouraged from exploring! 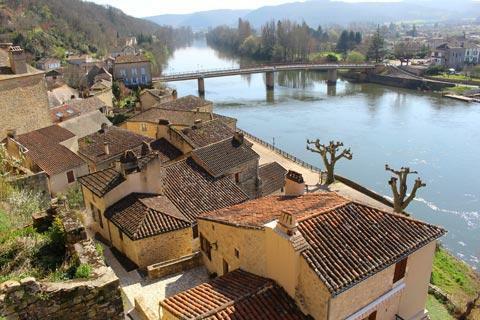 These lanes soon lead you down to the riverside in Puy l'Eveque. 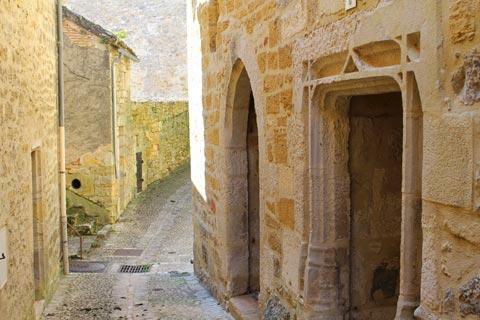 Among the individual buildings of interest are the Convent of the Capucins, the 14th century Chateau de Lychairie, a 15th century presbytery on a small courtyard and the Saint Michel Chapel. 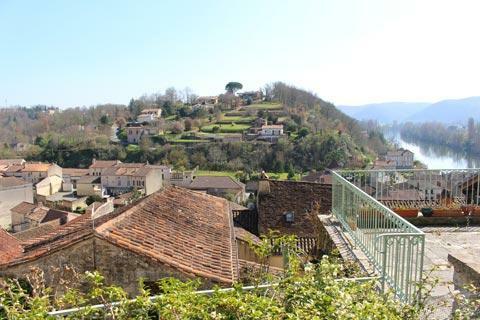 There is also an extensive garden area hidden away on the side of the hill where you can pause for a look at the view across the rooftops to the Lot river, called the Jardins Suspendus. Before going back up the hill be sure to cross the (modern) bridge and follow the steps down to the right at the end of the bridge. 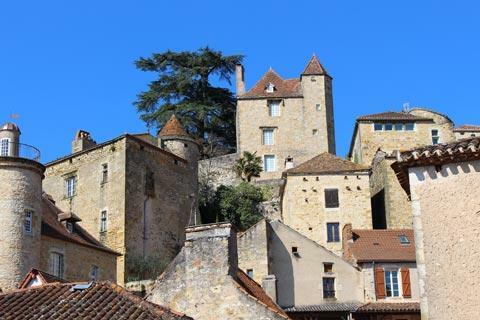 This is where all the 'famous' pictures of the town are taken from, and is much the best view of historic Puy l'Eveque as a whole. 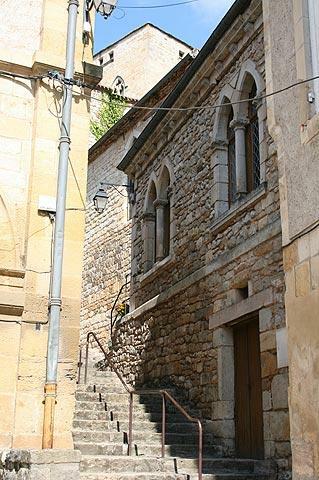 You can now climb back up the hill, following a different series of ancient alleys and streets through the old town! Back at the the north of the town is the market square, called the Place de la Truffiere. The market is held in the square in front of the town hall in the square. 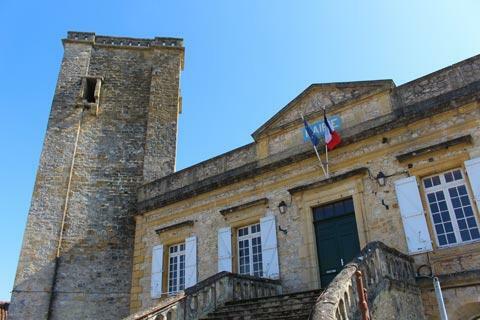 The 13th century tower next to the Mairie is a the remaining part of the Bishops Palace and is 23 metres tall with three stories: unfortunately it is not open to the public so we can only imagine the lovely views there must be from the top of the tower! France This Way comment: we thought that the one downside to the centre of Puy l'Eveque is that it lacks a main square to provide a central focus and where visitors can congregate. The Place de la Truffiere does have several cafes and restaurants but is also a car park and next to a busy road so lacks the charm you find in the central square in many French towns. 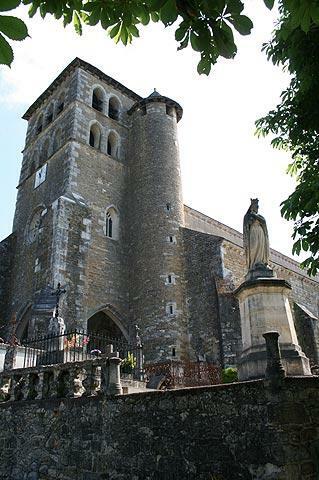 A couple of hundred metres to the west of the market place, continue through the Place Docteur Demeaux and its ancient fountain to reach an interesting church: the Church of Saint Sauveur is a 14th century fortified church with an attractive entrance. 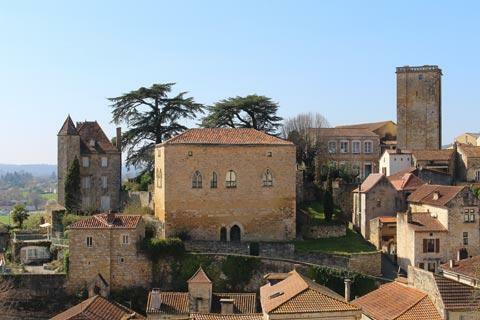 Also above Puy l'Eveque you can see the remains of the town fortifications including the donjon and a part of a ancient castle. There is a marked path that will help you make the most of your visit by highlighting the importance of individual houses and features. 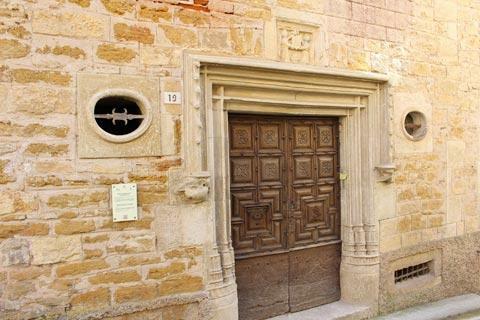 Ask for details in the Puy l'Eveque tourist office or follow the signs marked 'Tour de la Ville'. 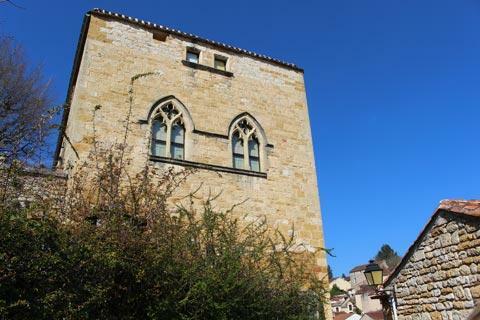 Before leaving the town you should also walk or drive a few hundred metres east along the main road to a belvedere with an attractive view across the rooftops to the historic centre. The church at Martignac, very close to Puy l'Eveque, has some brightly coloured medieval frescoes that are well worth seeing. 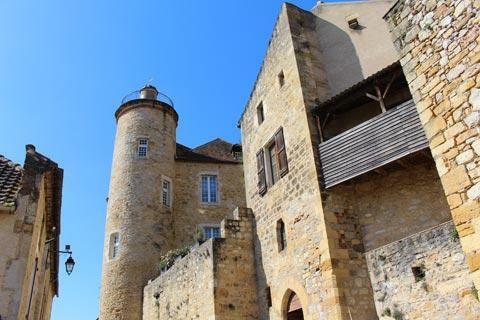 One of our favourite castles in France, Bonaguil Castle, is to the west of Puy l'Eveque.